IRENA is the International Renewable Energy Agency, a UN-affiliated organization established in 2009 to promote awareness and growth of renewable energy technologies on the global stage. It’s a kind of counter-balance to existing agencies that have long represented the fossil fuel and nuclear industries. 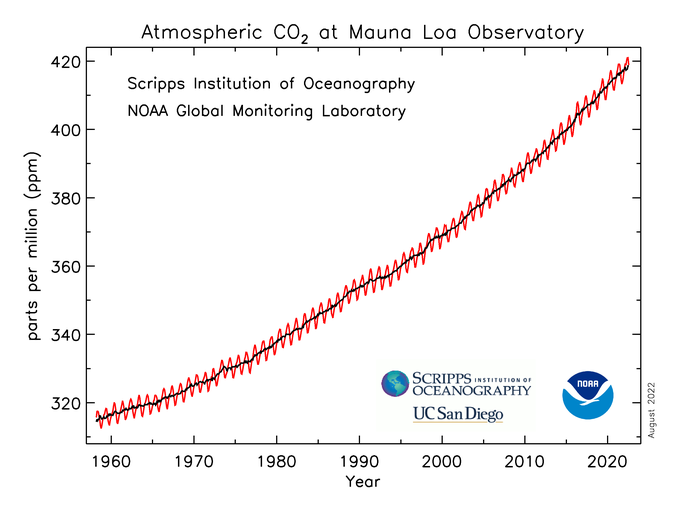 The idea for IRENA goes as far back as 1981, but it took a quarter century to get the political traction it needed. Today, 145 countries have officially joined IRENA and another 30 are in the process of becoming members. That would bring the total to 175. By comparison, the 42-year-old International Energy Agency has only 29 members, while the 59-year-old International Atomic Energy Agency has 167 members. Canada is a founding member of the IEA and IAEA, yet Canada is the only G8 countries not part of IRENA. In fact, all other G8 countries were founding members of IRENA. Canada isn’t even in the process of joining, yet China, India, Australia, Saudi Arabia and Iran are already members. Even Syria is signing up. The only other large country that sits with Canada outside of this massive international group is Brazil. The Harper government avoided it like the plague. Not joining made a statement that even like-minded governments in Australia refused to make. But times have changed. Canada has a new government that says it’s serious about taking climate action. Canada played an important role in reaching a binding international climate agreement in Paris last month. Canada’s provinces have set ambitious emission-reduction targets that will require accelerated deployment of renewable energy. The country simply can’t afford to remain on the outside of IRENA. “‎The Government of Canada was recently asked to join the International Renewable Energy Agency. This request is still under review,” said Caitlin Workman, press secretary for Catherine McKenna, Canada’s federal minister of environment and climate change. It’s safe to say that since IRENA was founded the invitation for Canada to join has been a standing one. Some might say: Who cares? It’s just another international agency that costs money to join and doesn’t offer much in return. I’d argue it does offer value. It will keep Canadian officials more abreast of global trends in renewable energy, but more important, it will give Canada a seat at a table filled with dozens of countries looking for the skills, knowledge and technology required to transition their economies away from fossil fuels. The export opportunities for Canada are immense. The World Bank, in a report released in September 2014, estimated that investment in clean technologies in developing countries over the next decade will exceeded $6.4 trillion (U.S.). Of that, $1.9 trillion will be focused on renewable energy technologies, with a significant chunk of that creating an opportunity for small- and medium-sized businesses. In my opinion, that number is likely low-balling the opportunity, especially in the wake of the Paris climate summit. IRENA is an opportunity for Canada to identify the needs of others, and the role it can play in meeting those needs. Already, representatives from its 145 members are gathering in Abu Dhabi for IRENA’s sixth-annual assembly to discuss the role of renewables just one month after the Paris summit. There will be much to discuss as they tease out the details of the Paris agreement, and much back room dealmaking that Canada will not be a part of. Canada should be there showing leadership. The chief economist at the International Energy Agency says peak oil is nigh and that we, as a society, need to start seriously planning for a world without it. Dr. Fatih Birol, in an interview with the U.K. Independent, said total production of oil is likely to peak within 10 years and that most of the biggest oil fields in the world have already hit peak and are declining rapidly. His comment that the peak will come in 10 years is far earlier than most governments are planning on, if they’re planning at all. Some believe we’ve already hit peak, at least when we talk of “conventional oil” production. He went on to say that with peak comes higher and higher prices and increased concentration of power in the handful of countries in the Middle East that have a 40-per-cent share of the market and likely more in years to come. The timing of that interview couldn’t have been better for Nissan, which unveiled its new LEAF electric car over the weekend. 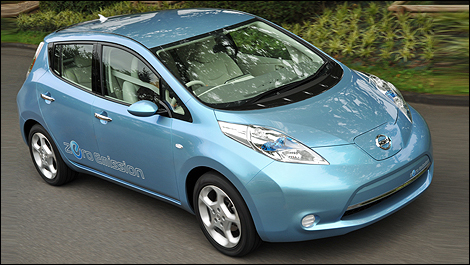 Nissan plans to start selling the LEAF in late 2010 and hopes to go into mass production in 2012. This is a slick-looking car, one that promises to be affordably priced. And unlike other offerings, the battery will be leased, putting all the risk in the hands of Nissan. As I said before, there’s been too much focus on GM’s Chevy Volt, as if it’s the only electric game in town. Fact is, there are many plug-in vehicles — hybrids and all-electrics — being launched between 2010 and 2012. It’s a good sign, because these are the kinds of products we need to transition away from oil, as Dr. Birol so widely advises. We also need several models to enter the market to encourage more investment in the infrastructure needed to support these cars.